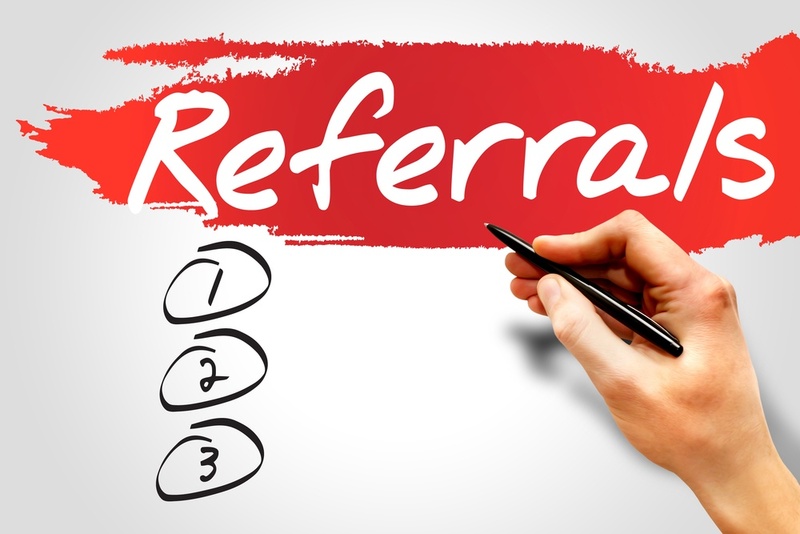 Referral is a term used in the medical circuit for the transfer of a patient's care from one clinic to another, on request. In today’s world, doctors are gravitating more towards integrated networks and delivery systems. Doctor-to-doctor referrals are a great source of drawing patients to your practice. In order to ensure that your medical practice is a success, you have to go beyond advertising and need to build a strong referral network. In fact, for many clinics, the main source of new patients is referrals. Establishing a good working relationship will go a long way in getting you the right patients. What Determines the Choice of Making Referrals? make the crucial choice of which specialist to send their patient to. Among all the factors, even though medical skill was of greatest importance, how physicians make the choice of a specialist, was not too clear. But it emerged that previous experience with the specialist ranked way up high with the doctors to make referrals. Most specialists concur that getting more doctor referrals can help them bank upon a continuous stream of new patients for their practice. Some specialists may be loath to think about marketing, instead wanting to focus on their patients and their skills but they need to understand that they can’t do without cultivating and maintaining strong referral relationships. This would need a whole deal of planning, resources and effort. You can have an internal person doing your referral marketing or you can have a physician liaison to help build positive referral relationships for you. However, keep in mind that building referral relationships is like a marathon and not a quick 400-metre dash. These are human relationships that we are talking of and it takes time to establish a ‘know, like and trust’ with your fellow colleagues. And it may take even longer with those doctors who may have not referred to you earlier. So, here we have a list of things you can do for establishing, maintaining and strengthening referral networks. You need to have a clear idea on which doctors you need to approach. Preparing a list of them is a good idea. Now who are the doctors you would want on this list? A majority of them would be those who are into internal medicine or family practice, as primary care physicians. They are generally the first stop for patients with ailments. Now you need to sort your list by size and location with respect to your practice. The closer a practice is to yours, the greater the ease for their patients to come to you. And this would make referrals more likely. These doctors should be at the top of your list. Those next in the list would be ones who do not have a practice very close by but are relatively smaller. This is because fixing up meetings is more easily doable with smaller practices rather than large ones. Last on the list are larger practices and located geographically farther away. • A: These are doctors whom you can call loyalists. They refer those patients to you whom you want to treat. And they do this consistently. You have worked with them and established your credibility. • B: These include those doctors who could refer more if encouraged. They do like and trust you but need to be told more about your other services and prodcedures. • C: These doctors do send you referrals but are rather sporadic. They don’t yet understand your full capabilities. A little more effort and they can be cultivated to do more. • D: These doctors have the potential to send you patients but maybe would never do that because of their location, contractual obligations or specialty. It wouldn’t be too prudent to invest your time on C and D, though you may be tempted to. When you focus on the ones you already have, you will be spending less time, money and resources to further build on the relationships and attract referrals. Now you need to speak with these doctors to fix up an appointment for a meeting. You can delegate anyone from your office to do it for you. Do this for all the physicians on your target list. You can delegate this step to one of your staff members, as it will only involve making phone calls to the doctors on your target list. A face-to-face meeting makes a big difference, making the physician-to-physician relationship count. Even interacting with the referring physician’s staff can impact the number of referrals in a big way. When you walk in for the meeting, create an impression on the minds of all staff members. Greet them warmly and make a note of the name of each staff member you meet so you can refer to it later. Carry all information to your meetings - an introduction letter about your practice, business cards, a brochure or information sheet about your practice, and any other promotional items you use. When you meet the doctors, try and talk about their practice and their needs. Be professional and likeable at the same time. They are likely to refer to you, if they find you satisfying on both fronts. Stick to the time duration of the meeting, ask about the number of patients they see in their clinic and their usual treatment protocols. This will lead you into the subject of how you can benefit their practice and their patients. You need to impress upon the referral doctor at the meeting how you would be ideal for referral. This is the most crucial step after you have met your referral doctor. After your meeting, follow up regularly to nurture the referral relationship you began. It could be a formal note of thanks to the physician and the staff. You could also send them a monthly newsletter which has information about your practice or how you work with the other physicians in your area. Create a communications program to cultivate new referrals from your referral base and ensure that it is implemented on a continual basis. What is the objective? The objective is to inform referral sources about how you can be of use to them. Let referring doctors know the benefits you provide and the ways you can make their (and their patients’) lives easier or better. You could send them case studies to show how a referred patient was effectively tested or treated by you. You can highlight the speed and accuracy of the report sent back to the referring practice. Always include some kind of call to action. You could pose a question that they can respond to, offer to send more detailed information on what you have sent presently, or simply ask them to call you to learn more about a specific service you’ve highlighted. Send them relevant stuff. Your communication can take the form of a regular newsletter (either print or electronic), professional “alerts” or even personal notes or letters. This will help them understand the full length of things that you do as a specialist. Also communicate with your referrers about mutual patients of interest. This would lead to an increase in the quality of patient care and strengthen your relationship with the referrers. You or your doctors in your employ may be too busy to actively build and manage relationships with other doctors. And while we may tell you hundreds of things to do, if you don’t have someone to implement them, they are of no use. Therefore you need one or more physician liaisons or practice representatives working on your behalf. One physician liaison can easily give you ten times return on investment. However, when you hire physician liaisons, skill levels and results vary wildly. You need to hire seasoned experts who have the knowledge and personality to engage doctors and staff effectively. You may not need to visit the physician yourself all the time. Your referral marketing team or physician relations manager should be alive to the referring physician needs. You wouldn’t want to lose a referral simply because a referring physician feels neglected or unrecognized. Keep yourself accessible to the referral doctors so that if they need a quick answer regarding patient care, you are just a call away. A quick and easy line of contact helps build your rapport with them. If they have your personal contact information, it will ensure doctor referral requests reach the right person, whether it is the providing physician or physician relations director. They Want If you want to have a long-lasting relationships with referral doctors, you need to give them exactly what they want. This would need establishing goals, communicating them to your staff and doctors, and monitoring achievement regularly. Imagine if you had to refer a patient to another doctor, what kind of a practice would you seek? You would certainly want high quality care. And therefore treating your patients with respect, taking time to answer their questions, and checking up on them after treatment builds your reputation as a provider that cares. You also need to make yourself available in time for the referred patients. Referring physicians wouldn’t want their patients’ care delayed because the patient can’t see you soon enough. Try and accommodate the referred patient as soon as you can. Send prompt understandable reports to the doctor who has referred the patient to you. Let him know when an appointment with the patient has been scheduled, and that you appreciate the referral and will continue to communicate about what follows. Keep the referring doctor in control of the patient, by keeping him informed with regular progress reports. Doctors hesitate in making referrals because they are afraid their patient will be stolen from them. The best way to set that right is to always send the patient back to the referring doctor so that any fears that he may have about losing his patient post-referral, are allayed. The way to do this is to send the referral doctor your case notes for the referred patient. This would make him feel part of the process. This is a great way to build strong referral relationships. It brings the doctor community on the same platform and offers the space for discussing issues of mutual benefit. It’s about the doctors seeing and connecting with you. At regular intervals, maybe, once in 4 months or so, host a lunch or an education workshop. Interaction with your colleagues will keep the relationship—and the referrals—strong. It might sound cheesy but it is a fact that acknowledging people on birthdays, New Year’s and festivals makes people feel good, and doctors are no exception. Sending a personalized handwritten card will surely go a long way in strengthening your relationships with the referral doctors. Making all these efforts is not a one-time thing. If you do not keep up on doing this on a regular level, results are going to be few and far between. Consistency is the key here. If you apply all the elements on a continual basis, you will notice a leap up in your referrals. Set up alerts, keep a spreadsheet, you got to do whatever it takes. You must reassess on a regular basis of the changes that occur in practices. Someone who could have been a good referral five years ago may not be one now as facilities and equipment age. Building strong referral relationships is an ongoing, constant effort. Referrals don’t shoot up overnight and take frequent and constructive visits to grow in a snowball effect. Doctors are more likely to refer to a practice where they have established a relationship of cordiality and trust. This inspires confidence in them that they are referring their patients to an ideal healthcare facility. Put in a bit of extra effort to meet face to face with your physician network to bolster your referrals. Building a strong referral network is a lot of hard work and you should do it as an integrated, ongoing part of running your medical practice. It isn’t a knee jerk formula to be put into use when your patient volume starts to dwindle. Building a strong referral network will help you keep your referrers and expand your referral base. How To Increase The Lifetime Value Of Your Patients?